It’s been two years since we said goodbye to the late Carrie Fisher and then, just a day later, to her mother Debbie Reynolds as well. 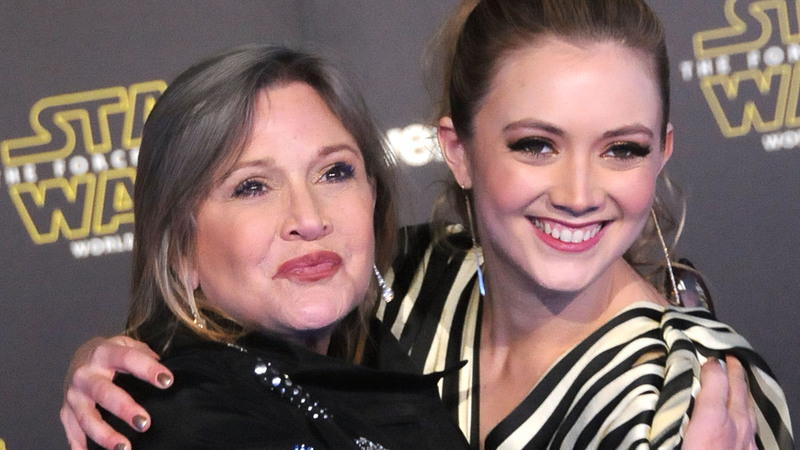 In that time, Fisher’s memory has been honored with posthumous awards for her work in the time leading up to her death, as well as plenty of memories shared by her daughter, Billie Lourd, on social media. On Thursday, to mark the two-year anniversary of her mother’s passing, Lourd shared two videos on Instagram that feature her playing piano and singing, something she said she and Fisher liked to do together. Lourd noted that the piano she plays was a gift to Fisher from her father, Eddie Fisher, and the song, “These Days” by Jackson Browne, was one of her momby’s favorites. Since Fisher’s death in 2016, Lourd has shared several memories of her mother in Instagram, in addition to making a special trip to Norway to see the Northern Lights with her father, Bryan Lourd, in Fisher’s honor. Lourd also adopted Fisher’s beloved dog, Gary. We love that Fisher has inspired her daughter to keep going, no matter what, and that she’s sharing that message with the world.